Incapacity refers to an inability to effectively exercise one’s rights on one’s own behalf. Guardianship is the appointment of one person, called the “Guardian”, to exercise the rights of another person who is incapacitated, called the “Ward”. How can you tell if a person is “incapacitated”? • Dementia - Most often seen in the elderly, this is actually a broad category of disorders including Alzheimer’s, Lewy Body, Parkinson’s and Vascular Dementia, caused by a stroke or TIAs. • Brain Injury - Trauma to the head, anoxia (lack of oxygen) or other medical complications sometimes result in injuries to the brain which can render a person of any age Incapacitated. • Developmental Disability - Autism, Spina bifida, CP, Prader Willi Syndrome or any childhood diagnosis accompanied by retardation may result in a need for assistance in the exercise of some rights. • Youth – Persons under age eighteen (18) need a Guardian to exercise their property rights if they acquire property of significant value, need to file a lawsuit or wish to enter into a binding contract. Do all Incapacitated persons need a Guardianship? 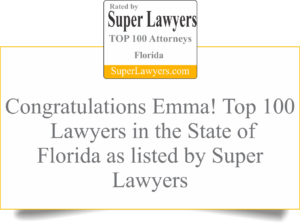 as agents under a Power of Attorney or Health Care Surrogate. a Voluntary Guardianship on their own behalf. • But has signed estate planning documents, only a Determination of Incapacity is needed. • And has never signed estate planning documents then a Guardianship may be unavoidable.